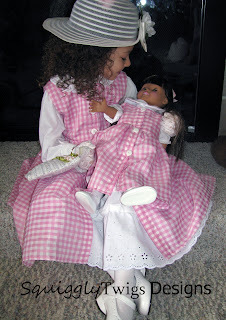 American Girl dolls and dolls like them are,Oh, so well loved, by girls everywhere. The dolls, their clothing, and gear can be very expensive. My daughter has four of these types of dolls. Now, you all know me a bit by now. And, no there's no way, I'd pay for a "real" American Girl doll, or even pay full price for one of the other brands or her clothing. Our dolls were either off brands given to us, or purchased from Michael's Crafts with a coupon. By the way, you can get one for about $12 with a coupon there. Our clothing has been made from scraps. Well, except for shoes and socks...I've not come up with a way to make those just yet. ;) You can get those at Michael's also. I didn't even buy a clothing pattern. They are so easy to find for free. Yep, free! Our patterns were all traced from library books. The only patterns you'll need are a bodice pattern, pant pattern, something with a sleeve, and maybe a coat (coats are cut larger than shirts). We also found a circle skirt pattern and traced it for fun. Otherwise skirts and dress bottoms can be made with a rectangle...see Pettiskirt Tutorial for the how to. So until we get all of our doll patterns uploaded into our patterns for sale, use what you can find out of this book, and other's like it, to make some matching outfits for, or with, your girls. They'll love it, and you'll have fun doing it. PS...don't forget the .90 sale. You have until Wed., tomorrow, to snap them up. You sent a nice comment, but I couldn't post it as it had an embedded link to a doll clothes sale site and no way to contact you about the comment. 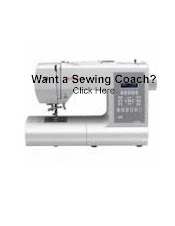 I'm not sure you meant to link a sale site, but this tutorial is about making your own.